Fissures are the thin grooves on the chewing surfaces and no matter how well they are brushed, bacteria can still collect within them and eventually cause decay. 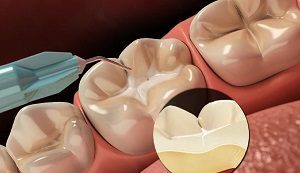 A fissure sealant is a safe plastic coating applied to the tooth to stop food particles and bacteria from settling in these hard-to-clean grooves. This preventive treatment is normally given to children whose permanent teeth are starting to emerge, usually between 6 and 7 years. The application process is quick and easy, and there is no need for an anaesthetic or drilling. 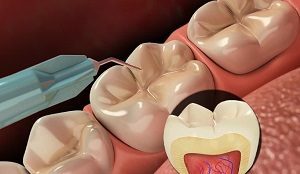 The tooth is polished to remove plaque and food debris from the fissure surfaces. 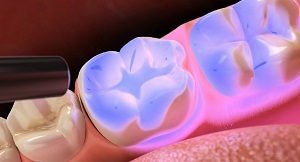 The surface of the tooth is etched with a special solution. After rinsing off this solution and drying the tooth, the sealant is applied with a brush. 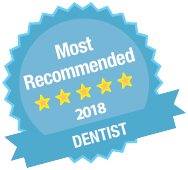 To ensure sealants offer the best protection, it is important they are used in conjunction with a comprehensive dental care routine that includes effective brushing, flossing and a healthy diet. However, treated teeth will have smoother surfaces, so they will be much easier to keep clean. Sealants can last for many years but regular check-ups are necessary to ensure they continue to remain intact.